Clisby offers a range of high quality, fully maintained rental equipment that is often not part of a contractor or operator’s normal day to day asset list or use. The Clisby rental plant is current model and in good serviceable condition ready to use. Skid mounted within a crash frame and fully pneumatically controlled for remote and safe applications, flow 1550m3/hr at 7.5bar, all vessels are to AS1210, load tested, lifting lugs on four points for slings and large forklift pockets. The units have a fan cooled high capacity radiator/heat exchanger, water separator with demister pads, two large capacity pre filters, twin tower dryer and one after filter of 0.01 micron. All equipment has condensate drains spooled to a single outlet for condensate collection. High quality well maintained models for site use or for utility air through desiccant dryers for pipeline pressure testing or drying. All diesel engines are emission compliant. Available in skid mounted as a crash frame with lifting lugs and fork lift pockets or road registered trailer models. Air hoses with Minsup fitting are available. Available in many designs and sizes, suit repairs, maintenance or prime air. 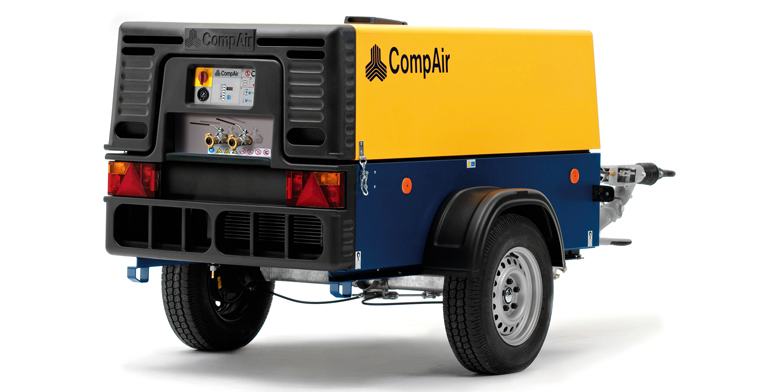 The Units are available in Electric, Petrol or Diesel and come in horizontal or vertical configurations. Horizontal are available in portable or with forklift pockets. Special Units that are skid frame and roll bar protection are available upon request. All pressure vessels are complaint AS1210 and design registered with SafeWork. Pressure Vessels are available in many sizes and pressures, complete with accessories as required. All Vessels are AS1210 and design registered with SafeWork. The rental equipment can be long or short term. Skid mounted mobile maintenance equipment containing Diesel driven air compressor, Diesel driven power generator/ DC welder, oxy acetylene bottles, heavy duty work bench with vice, recoil reels for air hose, oxy hoses and toolboxes.